The world of Fallout 76 is a dangerous place. There’s other players, vicious robots and even a new hyper-intelligent race of ghouls to contend with. Here’s how to make sure you stay alive. 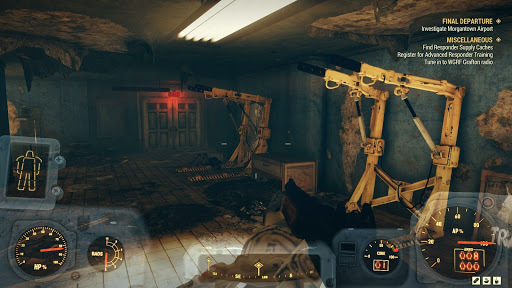 In order to take on the baddest enemies in Fallout 76, you're going to need some Power Armor. 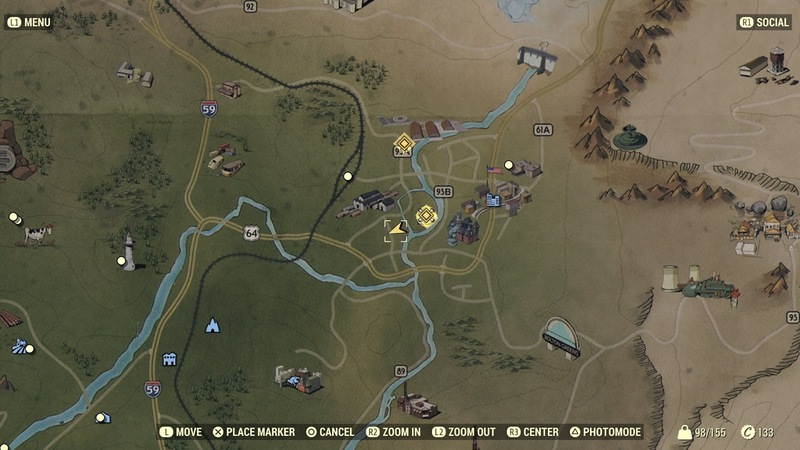 There's plenty of sets hidden around Fallout 76's sprawling map, though you'll need to know exactly wher to look to find them quickly. 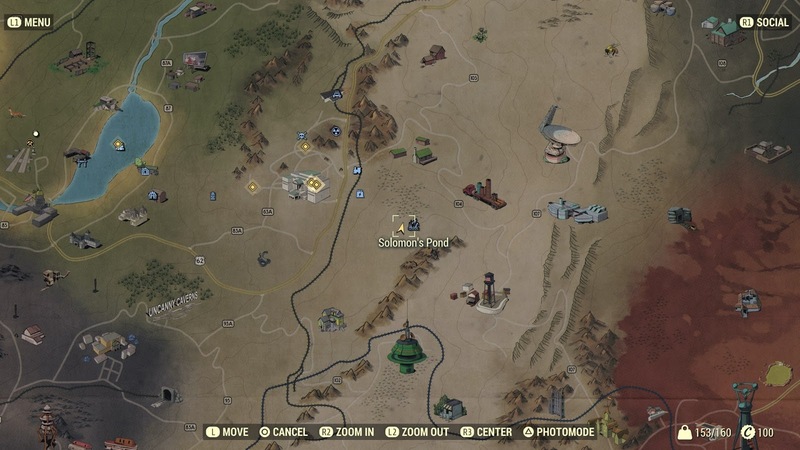 That's why we've been listing every Power Armor location we've come across in this Fallout 76 Power Armor Guide. 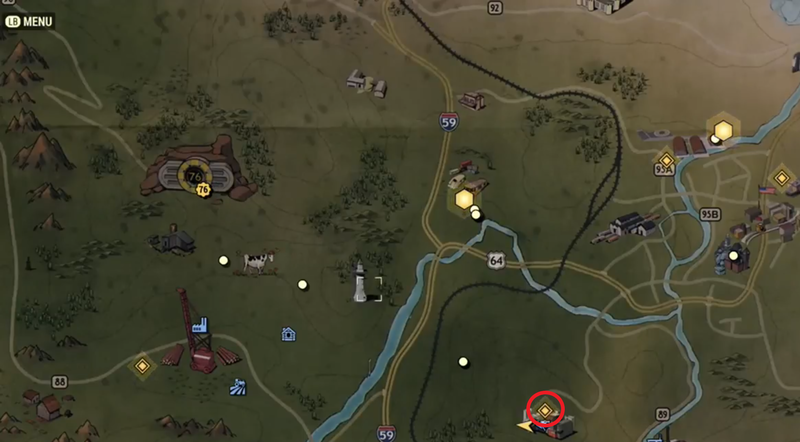 We'll detail each location, and also give you some general tips that you should keep in mind while using Power Armor. 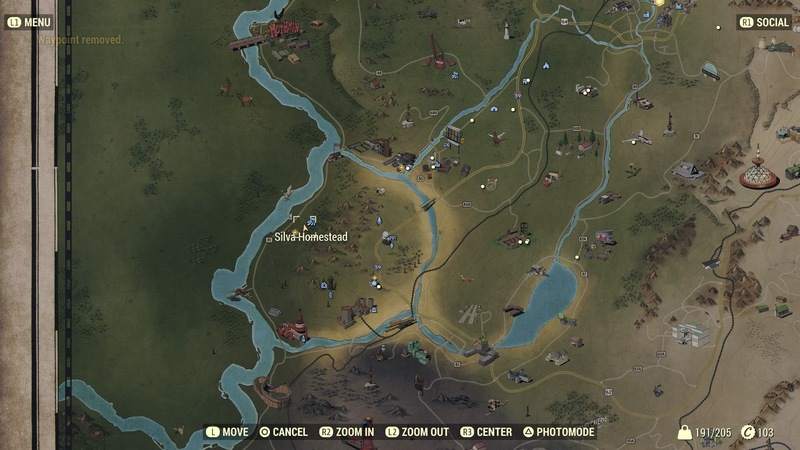 For more on Fallout 76, you can head over to our Fallout 76 Guides Hub. 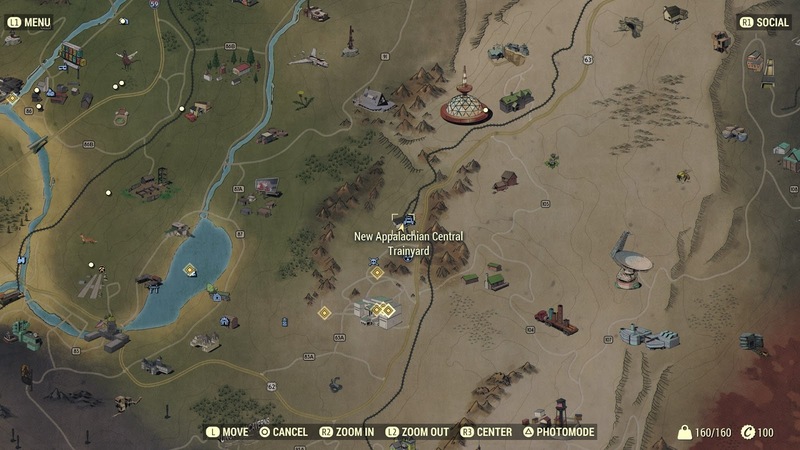 It has links to all of our Fallout 76 Guides content, helping you with a whole range of topics like Perk Cards, Best Weapons, and more. Can Other Players Steal Your Power Armor? Power Armor works a little differently in Fallout 76, when compared to previous entries in the Fallout series. There’s only a finite number of suits per server, so if someone gets to one before you, then it’s gone. To save you some time, we’ve listed some key locations for finding Power Armor in Fallout 76 below. We’ll give you a description of where they are on the map, and how to get them. There's some T-45 Power Armor located in Morgantown. It's just to the west and slightly south of the Morgantown icon. We've embedded an image below. Another set of Power armor can be found at the Morgantown Airport. Enter the main terminal, and head towards the eastern end of the ground floor. 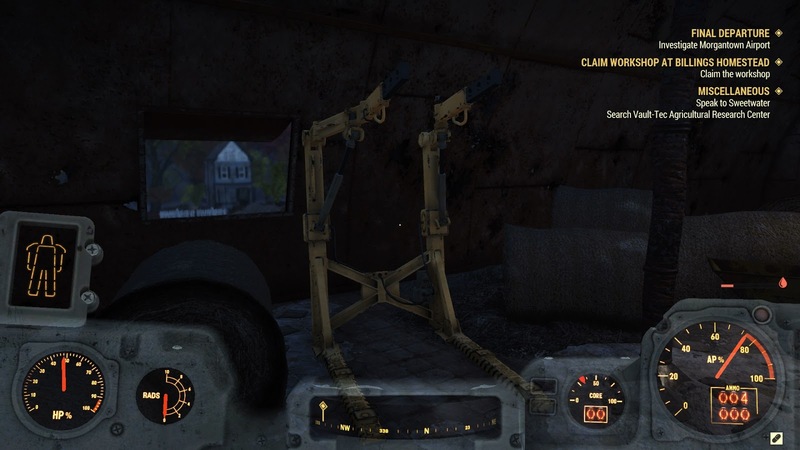 There are two power armor racks attached to the wall, where the armor can spawn in your game. There are a few different things you’ll need to keep in mind while searching for Power Armor in Fallout 76. There are four different types of Power armor, each requiring a different level to operate. For the T-45 you’ll need to be level 25. For T-51 you’ll need to be at least level 30, and for T-60 you must be level 40. At the time of writing it is unknown what level you’ll need to be to control the X-01. 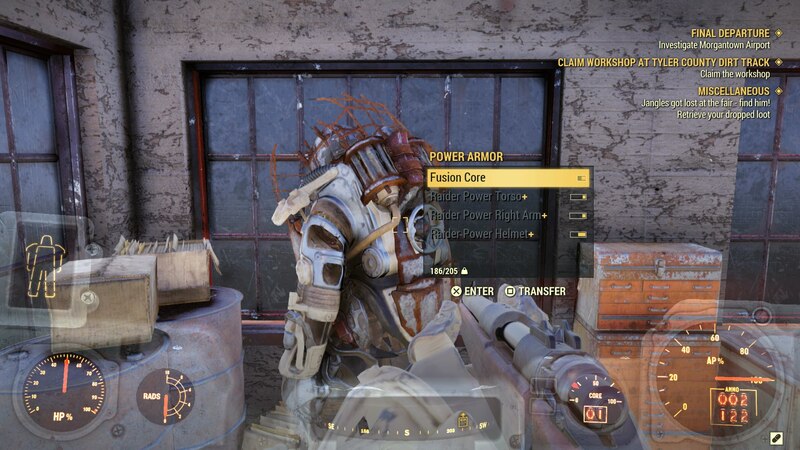 If you come across Power Armor with parts you cannot use, transfer them into your inventory, then equip what’s left. 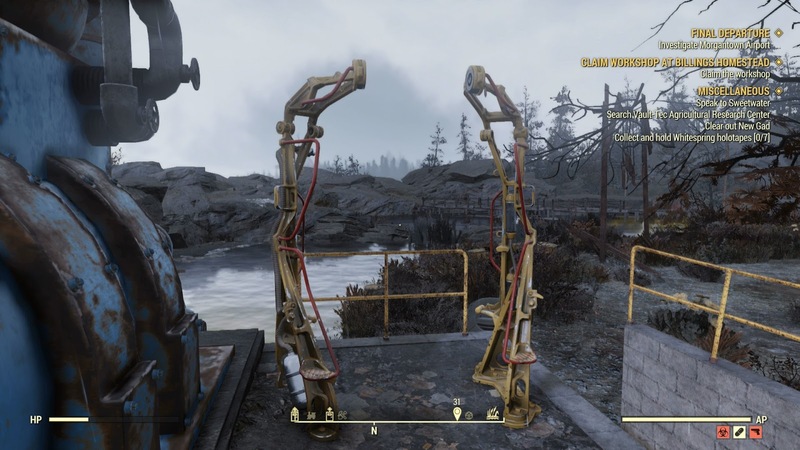 Therec are a few Power Armor frames to be found in Ash Heap. We've listed them below, along with some details on where to find them. 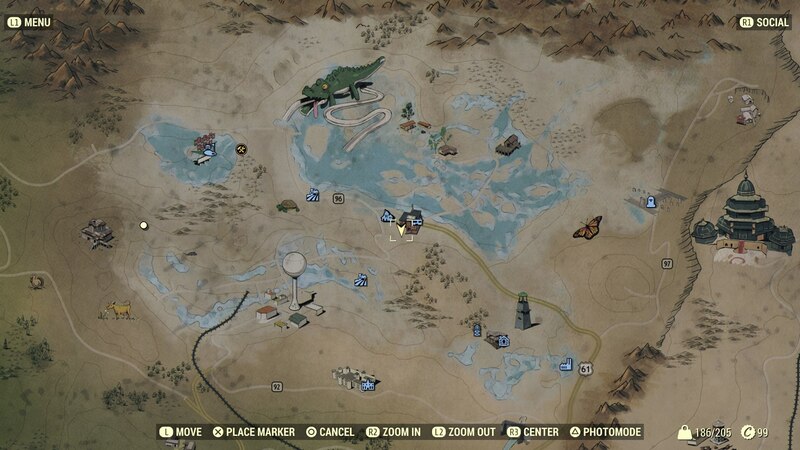 Mount Blair - Look for a large garage with a bulldozer parked inside, there's power Armor next to it. The Power Armor within the red brick building at Clarksburg. The exact map point of the Clarksburg red brick building. 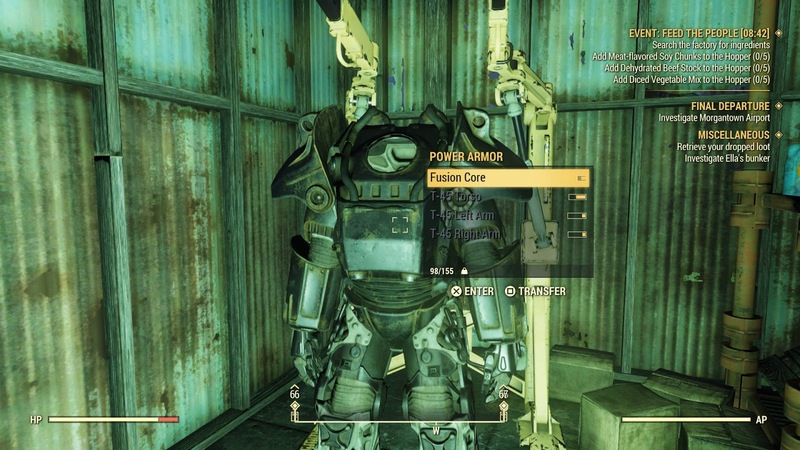 Given that there’s only a finite number of Power Armor sets in each Fallout 76 server, you may be wondering whether or not other players can steal from you. Luckily, once you put on a suit of Power Armor for the first time, it’s yours. Other players will be unable to select your Power Armor.